Cheap Temporary Car Insurance: Way To Go! 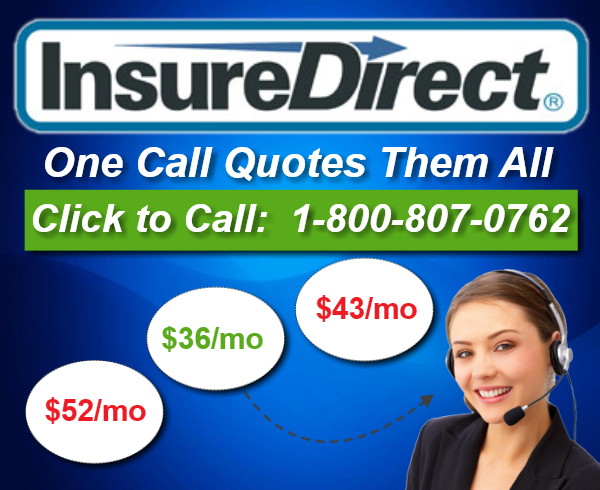 Want Work With Property and Casualty Insurance Companies? Arizona Auto Insurance: What to Buy? Home Insurance Quote: How Is It Made? What Is Full Coverage Car Insurance? Need Car Insurance For New Drivers In Ohio? 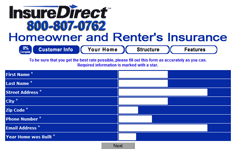 Getting the cheapest quotes on homeowner’s insurance coverage or a renter’s insurance policy is easy with InsureDirect.com. Just contact us by phone at 800-807-0762, or fill out our Five Minute Online Homeowners Insurance Form and our friendly, live home insurance coverage agents will help you find the home coverage you need to properly protect your home and contents. And the fact is, you simply don’t want to go without a homeowner insurance policy – it’s no doubt required if you have a mortgage, but even if you don’t, without property damage insurance, fire insurance, and the other protections dwelling insurance provides, how will you recover from a loss? And remember, even if you rent a house or apartment, you can get the same kind of coverage a home owner insurance policy provides for your possessions with a renters insurance policy. By calling us today or filling out our Five Minute Online Renters Insurance Form, you’ll receive home insurance coverage quotes from leading property insurance companies. So for peace of mind, don’t go another day without a home insurance policy, or property insurance if you rent. If you ever have a loss and have to make some sort of home insurance claims, you’ll be very glad you did!